I thought we had moved well beyond the tiresome CPAs-only-do-taxes-and-want-to-milk-you-for-every-billable-hour-you’re-worth stereotypes. I really had. I read all of this, and my jaw dropped. Is it possible that, in an era when CPAs are among the most sought-after and valued business advisors on the planet, there are still people who believe this crap? The answer, obviously, is yes. Gene Marks is proof. 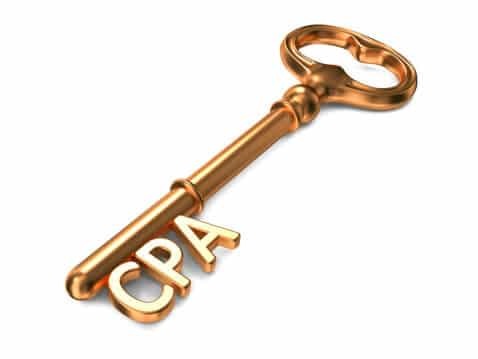 We can rest easy, though, knowing that such people don’t know much about the modern CPA. Gene Marks is proof of that, too. The profession doesn’t need people like you, Gene Marks, for whom “close enough” apparently are words to live by. Lucky for us, we have a profession full of leaders who know that the ways in which Gene Marks and his kind have cut corners and skated by for the past few decades simply don’t cut it anymore. They know the world is changing, and they’re making sure the profession changes even faster. They’re ditching the stereotypes and taking the profession in new directions. They’re killing the billable hour and pricing based on value. They’re using social technologies to compete with the big boys and change the definition of “small firm.” They’re letting technology handle the data-management side of the job and focusing instead on data interpretation. Regardless of what Gene Marks would have you believe, today’s CPAs are business advisors. The proof is in the work that next-generation CPAs like Jason Blumer, Jody Padar and Chris Farmand are doing. Don’t take it from me, though. Read the comments at the bottom of Marks’ article, where Jason, Jody and Chris chime in articulately in defense of the profession. Here’s the problem with Marks’ argument: He assumes the profession won’t ever change. He’s wrong. It’s changing before our eyes. Forward-thinking CPAs have redefined “change” as “opportunity,” and they’ve taken the profession in an entirely new direction as a result. It’s hard to see that if you’re stuck in the past. Marks is right about one thing, though. If your CPA is Gene Marks, you definitely shouldn’t take business advice from him.